The incomparable Jamie Kunkle joins the three international men of mystery once again for a funny and fascinating discussion about the fraught, fragmented relationship between Kira, Dukat and his daughter Ziyal, and the difficult road ahead (?) 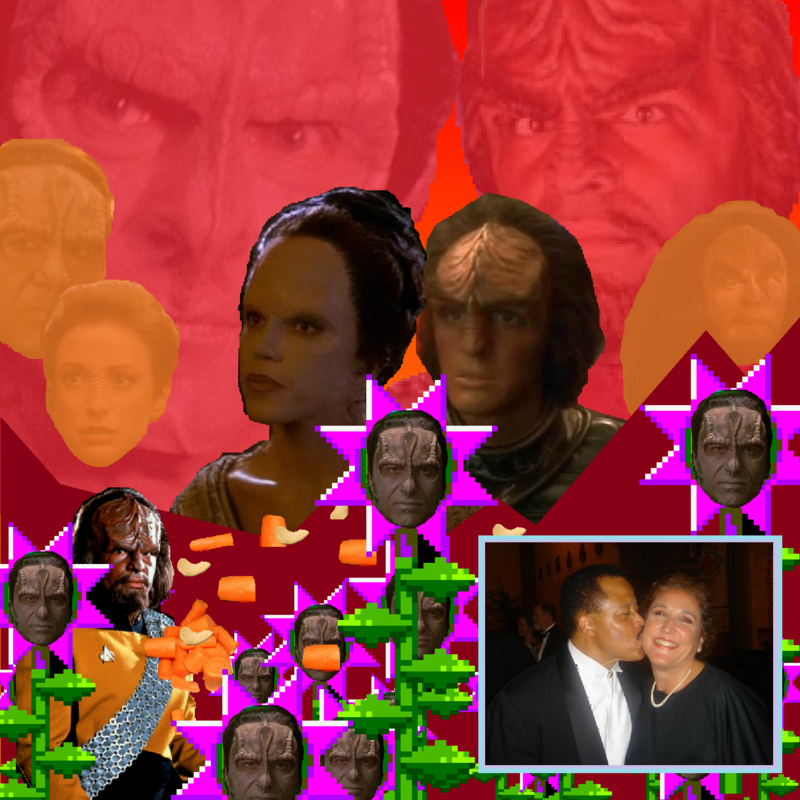 for Worf and his son Alexander, as he makes a sad attempt to prove his Klingon bona fides. Along the way, we’ll dive headfirst into fascinating topics like the rise of AIDS on Qo’noS and in England alike, international titles for Austin Powers movies, D’k tahgs, the tight-knit San Diego Burning Man community, Kevin’s surprising costume for the midnight premier of the Emoji movie, and meet Sam’s cat, Ezri! It’s an unforgettable ride that you won’t soon forget!